I have spent the last 6 years of my life in university. If I move on to doing a PhD, as I plan, I will probably study for another 4 to 5 years. And if my career plans are successful, I will spend the rest of my life working in a university. 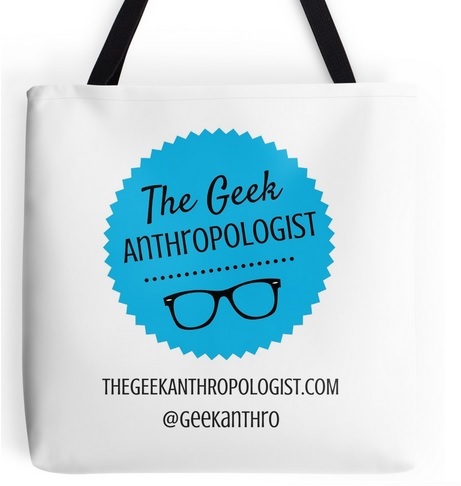 So you can probably guess that I love anthropology and that I feel very comfortable in an academic setting. Of course, having been in university for so long, I have had time to realize what I did well and what I could have done better as a student. I wish to share this knowledge with you. Hopefully, you will put it to good use either by taking my advice of by being inspired by it to develop your own ways of working and planning your efforts. The most important thing, I believe, is not so much to stick to one specific way of studying and working, but that you plan your system, respect it, and thrive to improve it. This first post is especially aimed at bachelor students but can be interesting for master’s and PhD students as well. I’m sorry I didn’t post it earlier this semester, but it’s never too late to improve your methods! Take some time at the beginning of your semester to plan the way you will study and work. Consider the following elements : how will you prepare for classes? How will you organise your reading material, notes and papers? What are your personal objectives? Do you wish to maintain a certain average? My next posts will give you further advice and information on these topics, but the start by giving this some thought and creating a plan for yourself. Whenever you start a class, pay special attention to the curriculum and the objectives listed by the professor. As the semester advances, you will need to verify if you are reaching these objectives. Don’t underestimate the crucial importance of having a well-organized and quiet working space. Noise can monopolise great deal of your mental capacities. If you can’t find a quiet spot at home, try requesting an office in university (yes, you can do that!). Priority is usually given to master’s and PhD students, but sometimes you get lucky. If that doens’t work, then make a habit of working in the campus library. Or purchase noise cancelling head-phones. Wherever you work, find a place where you can keep your notebooks, dictionary, textbooks and anything else you might need to study and write papers. As you advance in your studies, you will build an impressive collection of documents : keep them together well-ordered. First of all, explore what services and resources your university offers. The library most likely offers free training sessions that will teach you how to search for books, periodicals, encyclopedias and databases. You may assume you know how to search for a book at the library : don’t. There are many databases out there, each with specific contents and properties. You need to learn which ones are most useful to you and how to access and use them. Other training sessions may include how to use reference managing software, such as EndNote, how to borrow documents from other libraries in the world (yes, you can do that too). Make sure you know what services are offered by your university: in many cases, it is possible to access databases from outside campus through a VPN (virtual private network) connection and even use internet services in other universities, all for free. Check other departments of your university for interesting training sessions (time management, budget management or presentations norms for papers). Other services may include job search and interview preparation assistance. Some software might help you be more efficient. EndNote is a university and industry standard reference manager that many universities provide to their students for free. I prefer Mendeley Desktop, which you can download for free. You might choose to use something else. Read my next advice for students post for information on this topic. Decide if you will be taking notes on paper, a computer or a tablet. You might want to invest in some tech or update the one you already have. Apart from taking classes, chances are you work part-time and have other activities. Planning ahead will allow you to evaluate your work load for each class, and identify when papers are due and exams are scheduled. This will in turn give you a clearer picture of the moments during the semester when you will be most busy with your studies. This knowledge is essential to help you plan your semester and focus your efforts on the right tasks. You may realise, while creating a calendar and weekly schedule, that you should spend less hours on your other activities. I recommend you include all events you will take part in during the semester on your calendar : the surprise party you will spend hours organizing, a week-end trip outside the city, team meetings for a class project, the time you will spend filling out your tax report, Christmas shopping and so on. As the semester advances, keep updating your calendar. Choose a way to keep track of your calendar. Your email service may allow you to create an online agenda, schedule reminders and share events with other people. Gmail offers such features. Some universities distribute free agendas to students. While you’re at it, write down the birthdays of friends and family members. Having considered all these elements, try to develop good habits and stick to them. This might prove hard at first, but it will be most rewarding in the long run. Strive to constantly improve your system and keep on the look out for resources and services that might be of help to you. More experienced students and professors can also give you good advice and help you find solutions to your problems. Don’t hesitate to (politely) ask them to lend a hand. I hope this advice was useful to all of you university beginners!